With the release of the American Sniper there’s been a lot of random opinions being thrown around by both liberals and conservatives alike. Micheal Moore came off as a complete idiot for his comments on snipers being cowards. He backtracked a few days later but the damage was done. Then I came across this gem of a tweet. I blacked out her name because I felt that she had received enough hate mail for her thoughts as it was and I just didn’t want to be a contributing factor to any of that. She was already getting death threats and had been called of plenty of names by the time I came across the tweet. There’s no room for that kind of behavior and I was more offended by the responses than anything she ever said. While I haven’t seen the movie but I did read the book a few years back. 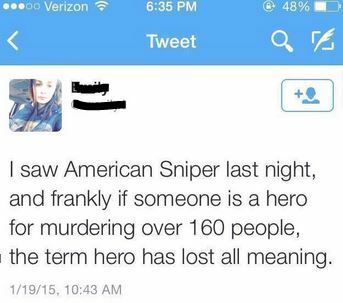 While this young lady is allowed to have her opinion, it saddens me more than offends. As a second generation Army veteran I have a deep affinity for the military. It’s a volunteer fighting force of men and women that do a job thats ugly. There is no refuting that it’s ugly, it’s dirty, and it’s a job that most of America is not fit for. Since WWII it’s actually down to just .5% of the population that actually serves. These .5 percenters commit to a life that’s unlike any other. They willingly sacrifice their own rights and safe lives for one of defense of others. It’s an entirely different life where every decision you make on the battlefield is life and death, and I don’t mean just your own. You’re decisions could lead to the death of your teammates or better yet the preservation of them. 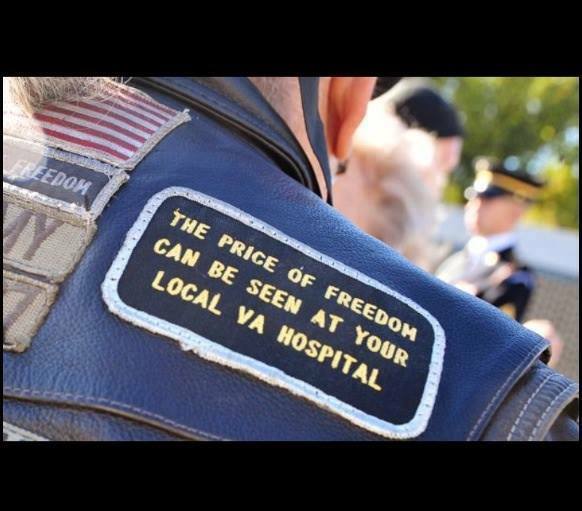 I love being an America, I’m deeply patriotic but I feel that there will always be a disconnect between those who serve and those who haven’t. While I never served in the theater of war I understand it’s bitterly cold reality where social norms don’t exist as typical Americans view them. Nothing is quite black and white. While Chris Kyle like anyone of us is not a saint, he is an American hero on the battlefield. Great post! It’s sad how bad the gap is between the military and the civilian world. That tweet is for sure quite the gem.